Global alliance of overseas Filipinos Migrante International today welcomed the Supreme Court decision declaring the Disbursement Acceleration Program (DAP) unconstitutional. “The SC has ruled and upheld what overseas Filipino workers (OFWs) and the people have known all along – that DAP is an illegal Malacanang-concocted mechanism that further expanded the presidential pork to be utilized for Aquino and his party’s political interests. Heads must roll, and no less than the Pres. BS Aquino should be held accountable for this gross plunder of public funds and betrayal of public trust. 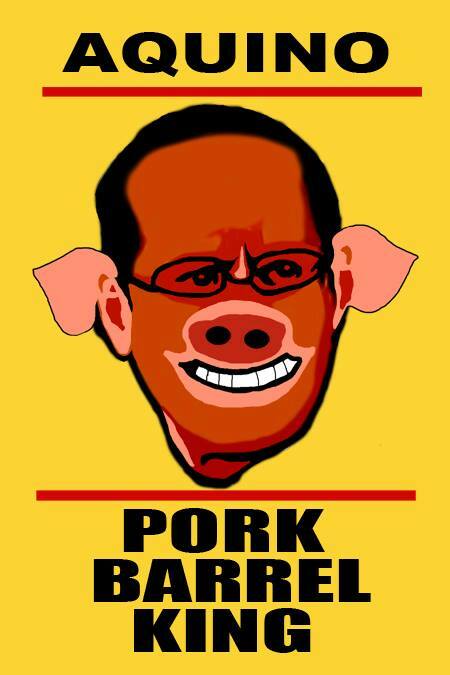 All hail the Pork Barrel King!” said Garry Martinez, Migrante International chairperson. The high court en banc declared certain salient provisions under DAP unconstitutional, among them, the withdrawal of unobligated allotments and unreleased appropriations as savings before the end of the fiscal year; the unsolicited and unilateral transfer of these so-called “savings” in the form of unprogrammed and lump-sum funds by the Department of Budget and Management (DBM) from one agency to another; and, the funding of projects not covered by the General Appropriations Act. The SC said that these practices violated Sec. 25, Art. VI of the 1987 Constitution and the doctrines of separation of powers. “This means that DBM Sec. Abad devised the DAP, under BS Aquino’s orders, to serve their political interests. DAP was the main source for the rewards given to senators who voted to impeach former SC justice Renato Corona. DAP is pork barrel and the president, through it, has profited most from patronage politics and the corruption of public funds,” Martinez said. Martinez said that OFWs around the world will support the impeachment complaint set to be filed by the Makabayan bloc in Congress against Pres. BS Aquino, and other measures that will hold Abad and all others involved responsible for malversation of public funds.